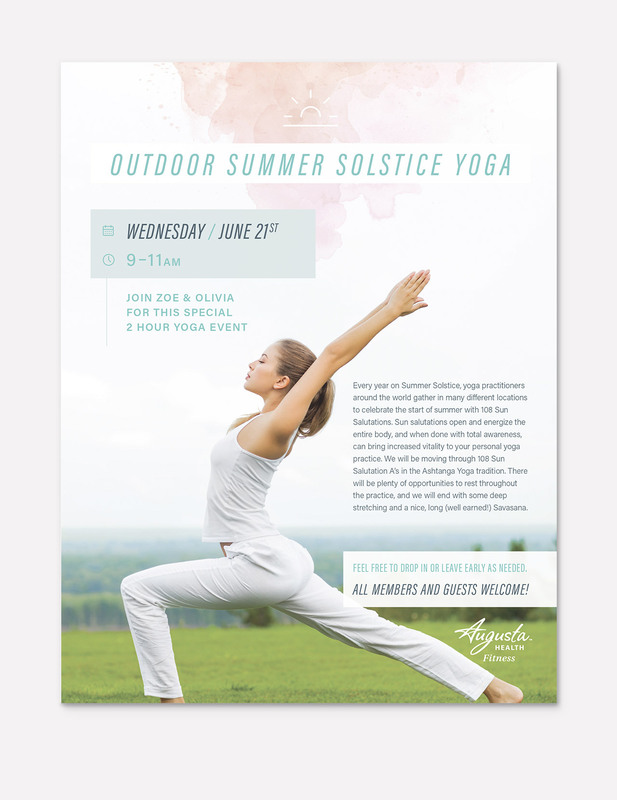 A longtime client Augusta Health Fitness approached us to create a flyer for an outdoor yoga class for the summer solstice. We chose a clean, modern approach would be best suited for the outdoor experience. We paired a monoline icon design with a watercolor treatment to lead the viewer into the yoga practitioner’s graceful pose in the photograph. The color palette is light and summery that will stand out among other flyers in the fitness center. ARE YOU LOOKING FOR A DESIGNER TO CREATE YOUR FLYER OR POSTER DESIGN?